This English ballad was once widely known throughout Somerset. Cecil J, Sharp, the founding father of the folklore revival in England, collected at least eight different versions of this tune in the early 20th century, all closely related. 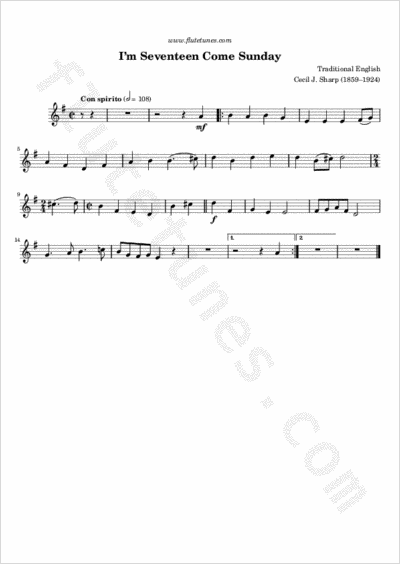 The version he decided to publish in his collection of folk songs, which is the one we are posting today, was chosen because it seemed “to embody the characteristics of the tune in their purest form”. In 1923 this song was used by Ralph Vaughan Williams as the base for the first movement of his English Folk Song Suite.